One of the most common requests I receive that is related to the Exchange extension, is the ability to deposit and withdraw fiat currencies. 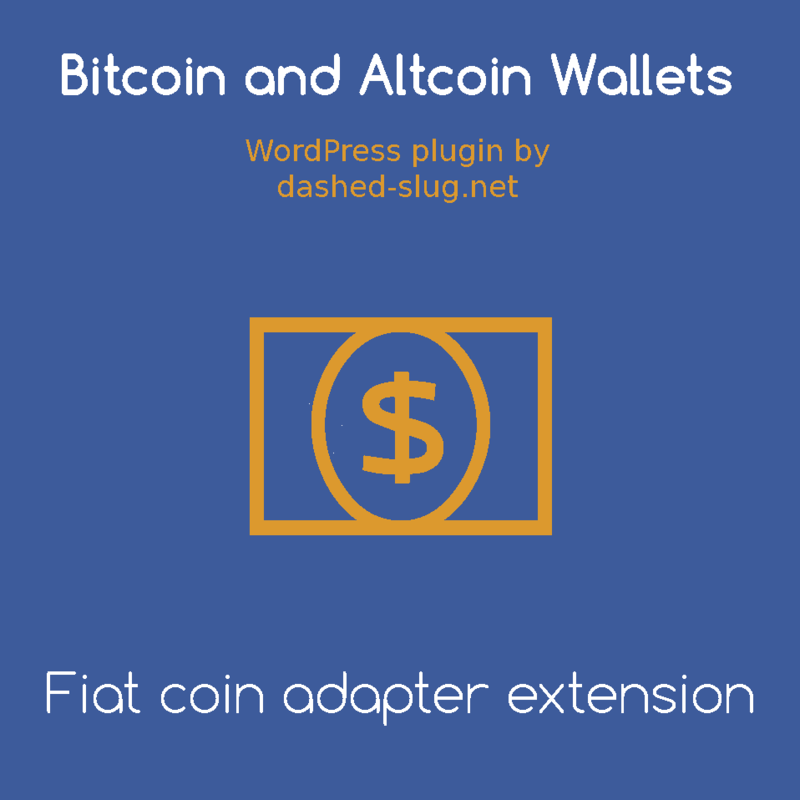 To this end, the Fiat Coin Adapter extension was created. Up to now, it was not possible to process fiat withdrawals to a bank account. With version 0.3.0-beta of the adapter, this is now possible. The shortcodes [wallets_deposit] and [wallets_withdraw], normally used for cryptocurrencies, no longer display fiat currencies in their dropdowns, only cryptocurrencies. Instead, use [wallets_fiat_deposit] and [wallets_fiat_withdraw]. This version of the coin adapter requires version 4.0.x of Bitcoin and Altcoin Wallets. The reason is that it uses the new available balance feature to determine if a withdrawal can proceed. A withdrawal cannot proceed if the necessary funds are locked in other pending transactions, or in unfilled market orders. Keep in mind that to populate the list of known fiat currencies, the easiest/best way is to setup a fixer.io API key in Wallets → Exchange Rates. You may then select the currencies to enable in the coin adapter settings. The [wallets_fiat_deposit] shortcode displays your bank details, and it is possible for an admin to edit these details in the backend. The shortcode also displays a code that uniquely identifies the user and currency. The user is instructed to add the code as a comment to their bank transfer. The admin then uses this code to enter a fiat deposit into the user’s account, using Tools → Fiat Deposits. The [wallets_fiat_withdraw] shortcode allows a user to enter their bank details, to request a fiat currency withdrawal. It is then up to the admin to navigate to Tools → Fiat Withdrawals and verify/process the request. As always, please post any issues with this adapter at its support forum, and any issues related to the parent plugin, here or here.